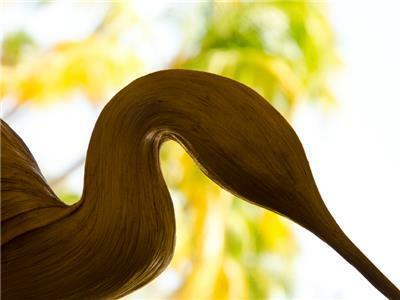 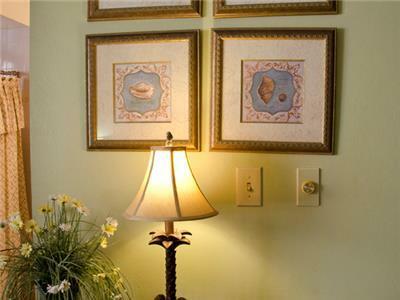 Our state-of-the-art luxury resort community invites you to feast your eyes on this welcoming retreat. 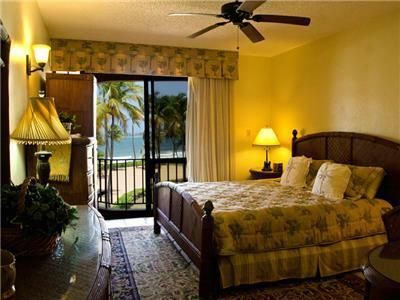 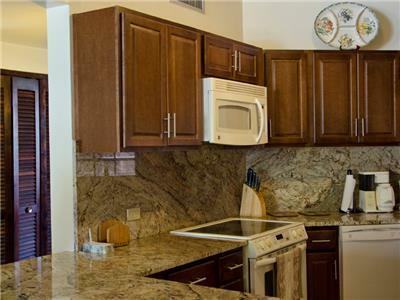 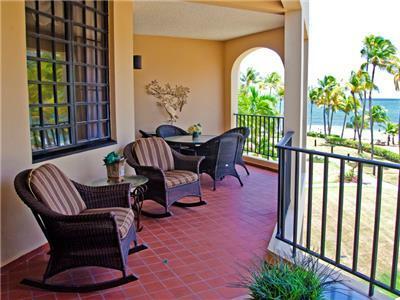 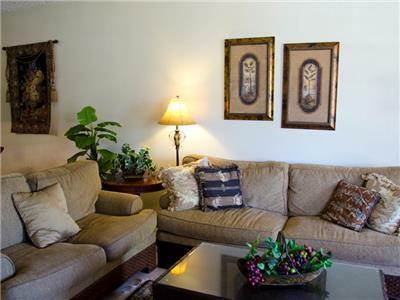 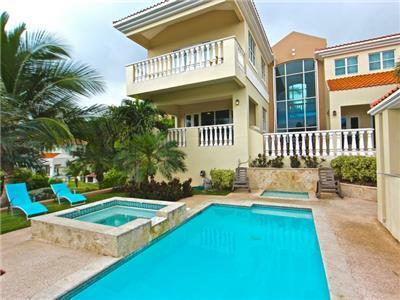 Your vacation is in good hands when you choose the Palmas Del Mar gated community. 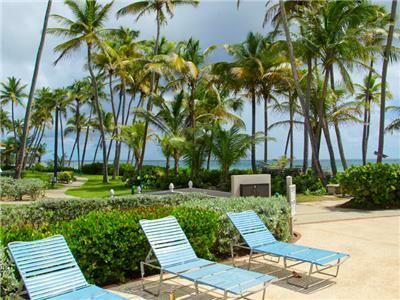 This premier resort is the largest in the Caribbean, located in Puerto Rico right on the ocean, spanning 2750 acres of stunning sandy beaches. 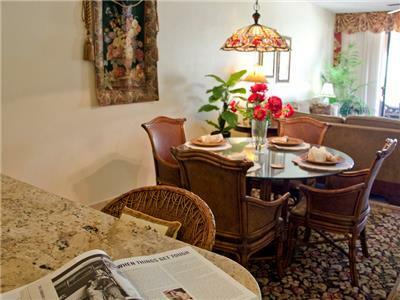 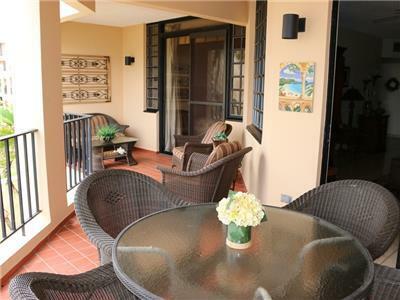 A restful stay awaits you when you retreat to your own private 2 bedroom, 2 bath villa. 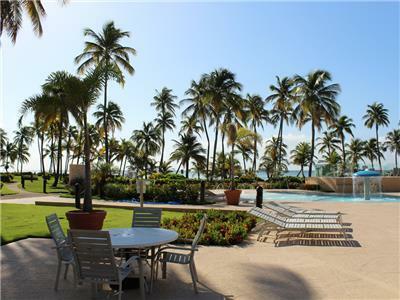 An impressively spacious floor plan features a delightful well designed space with beach friendly tile flooring throughout, large floor-to-ceiling windows, ceiling fans, designer decor, and a soothing layout of well placed affluent furniture and fixtures. 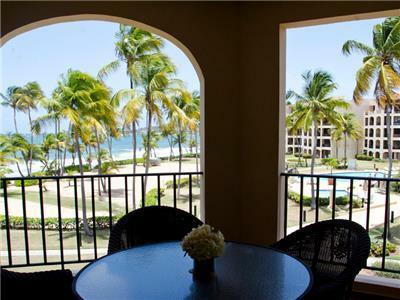 A luxe living and dining area invite you to enjoy a meal or spend a relaxing evening marveling at the scenic ocean views and breathing in the balmy tropical breezes. 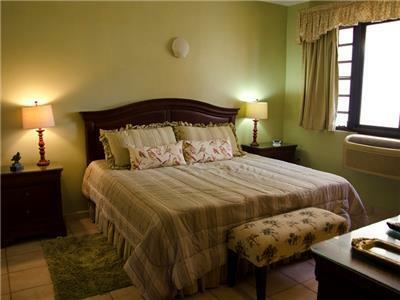 Accommodations further include a fully equipped kitchen that provides all the convenience of home and fully furnished bedrooms that inspire restful nights. 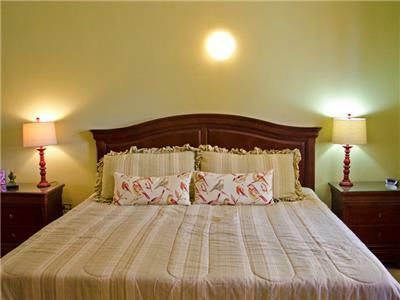 Each of these bedrooms is a wonderfully intimate space, tastefully decorated and well appointed with comfortable beds. 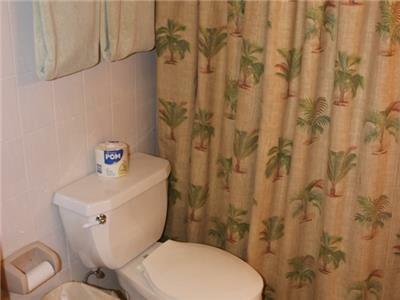 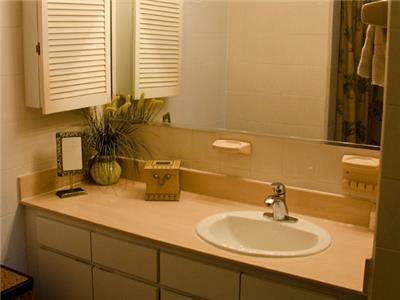 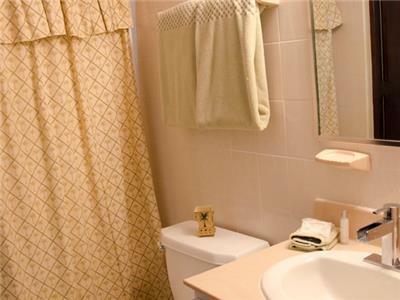 The large bathrooms offer luxury amenities to pamper you during your daily routine. 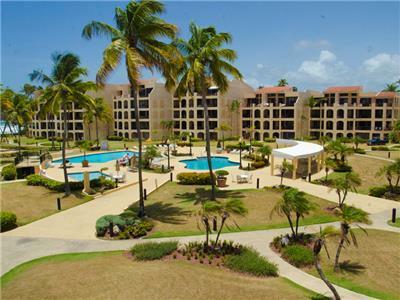 Idyllically located along a gorgeous stretch of tropical beaches and surrounded by lush tropical landscaping, the vibrant atmosphere of the Palmas del Mar luxury resort community boasts every convenience you could ever dream of. 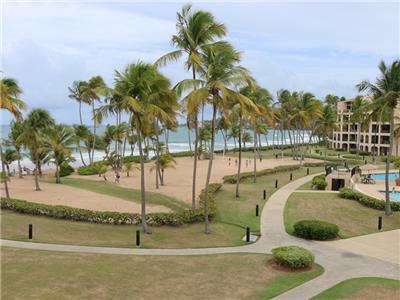 Our lovely rental property at Palmas Del Mar completely comes with concierge services that include, grocery purchasing, transportation, trips and child care that you will enjoy when you are on a vacation in our beloved island of Puerto Rico. 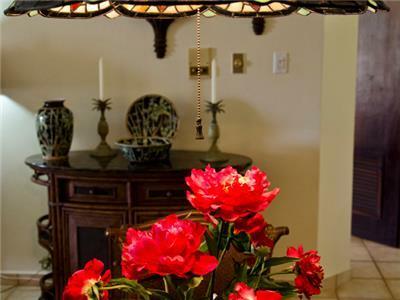 For the ultimate indulgence, we can provide an exclusive chef service, butler service or a massage service you can enjoy from the comfort of your suite. 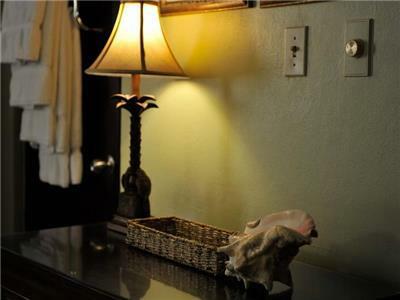 Our maintenance and housekeeping personnel will ensure that every little thing is to your satisfaction.. Just a short walk to sandy, sun-drenched beaches, you will also enjoy close proximity to the hotel and casino as well as other exciting attractions. 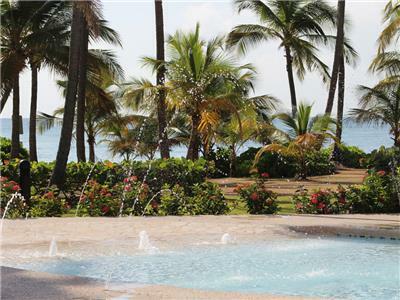 When the sun sinks low, enjoy a stroll on the beach to admire the picturesque Caribbean sunsets or sip your cocktail beneath a starry night sky. 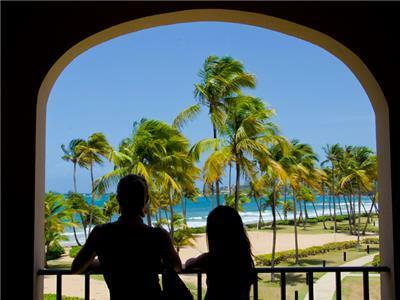 The resort community of Palmas Del Mar is the perfect escape to admire the unique majesty of the captivating Caribbean beauty. 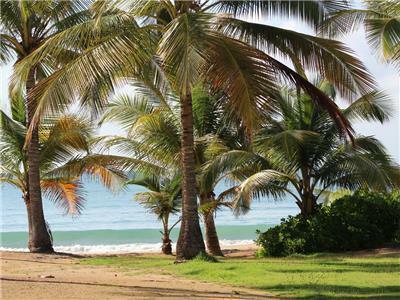 Palmas is a great place, very relaxing, easy to get around. 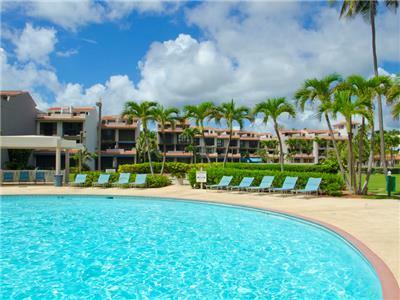 The Staff at Surfside was great, attentive in every way, Made recommendations for resturants, helped book golf cart rental, our unit lost power for a day and they searched for us to put us in another unit till power came back on. 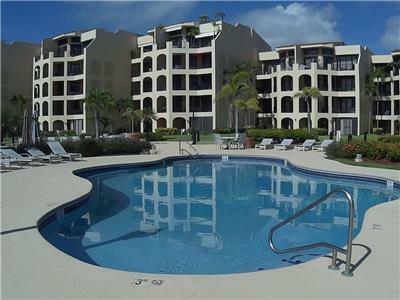 The view, pool and beach at Cresent was great, relaxing, no noise, very friendly people.